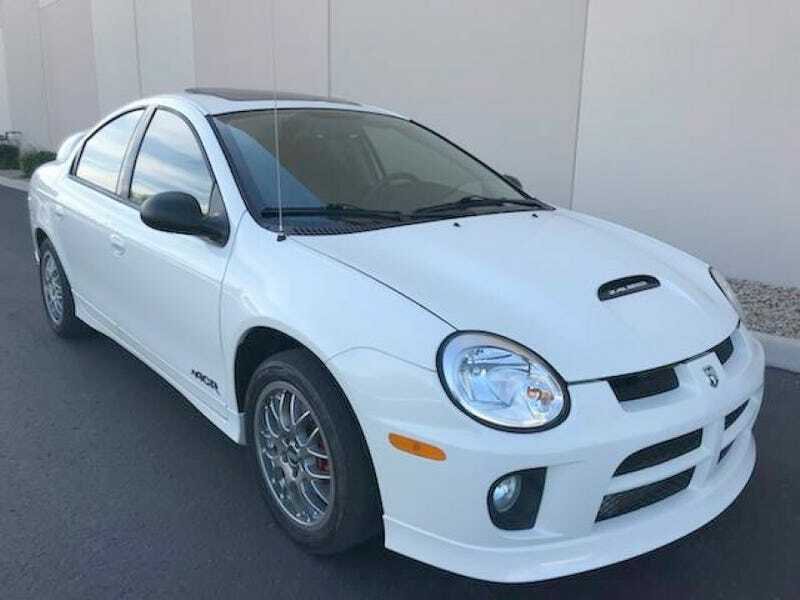 The seller of today’s Nice Price or Crack Pipe ACR says it’s been “enthusiast owned.” That’s sometimes code for “hung out and wrung out,” but will it also make this low mileage SRT4’s price a code that no one will want to crack? Quick show of hands—who here prefers Weird Al’s Eat It parody over Michael Jackson’s original Beat It? Everyone? Yeah, I thought so. Sure, Jackson’s rave fav may have had an Eddie Van Halen guitar solo in the middle, but there’s no way that can compete to Weird Al in a fat suit. Shamu. Something else thrown for a loss, not so coincidentally, was yesterday’s 1991 Honda Beat, a small town JDM car with big city dreams. At $6,000 however, 80-percent of you decided it was not meant to be, thinking for that much money, a car should be bigger than its keyfob. Hey, are you a member of a club? I don’t mean one of those Columbia House record clubs, I mean a car club. You know, the kind where you all drive the same sort of car and wear sassy embroidered jackets. Okay, so maybe the jackets are a bit much, but their absence shouldn’t put you off joining a fine organization like American Club Racing (ACR) as it calls among its members the Dodge Viper GTS and today’s candidate, a 2005 Dodge Neon SRT-4 ACR. That’s a rowdy crowd. By the way, Dodge didn’t want these cars to be referred to as Neons, but that’s what they are so nuts to them. Both ACR cars have left Dodge’s lineup, but back when they were produced they kind of provided the extreme ends of the brand’s performance and pricing spectrum. The Viper was the company’s no holds barred big-bucks sports car, while the Neon-based ACR was their entry level econobox imbued with an added raw edge. Like Subaru’s STi edition of their already be-muscled WRX, the ACR added on to an existing Neon performance model. In this case it was the SRT-4, and thus they created a club racer for the masses. Well, a small mass anyway—there were only 1,175 ACRs built, 306 of them in Stone White. This is one of those white cars, and it comes with a remarkably low 41,000 miles on the clock. The title is clean and the seller says it’s always been an Arizona car so rust shouldn’t be an issue. He also says it’s also always been enthusiast owned. What makes the car an SRT-4 is a turbocharger bolted to the 2.4-litre DOHC four. This engine gained a number of improvements to handle life at the edge, including heavier duty case webbing, a thicker deck, and strengthening of the crank and journal bearings to handle the increased power. How much power? According to the factory, 230-horsepower. According to not the factory, a little bit more than that. Building that corral is a Mitsubishi turbo that’s uniquely built right into the exhaust manifold. This allows for a more compact package and faster catalytic converter ramp up. In the ACR, that mill, along with its NVG T-850 five speed gearbox partner were abetted by an aggressively intended suspension, bigger alloy wheels, Viper styled seats, and ACR badging. If you could only drive one Dodge Neon in your lifetime, you should hope that it’s an ACR. This low mileage example is appreciably stock, with only a Mopar aftermarket intake and BOF as additions. The seller notes in his ad a litany of maintenance work that the car has recently enjoyed, including the timing belt and water pump. Also replaced were lower control arms, the cam cover gasket, and the radiator. New tires fill the wheel arches too. The car is claimed to be in good shape with only some sort of issue with the paint on the right rear quarter where somebody dripped a caustic chemical. Other than that, the badging all seems intact, as does the rear wing and SRT-4 nose. Inside, the seats appear to be holding up well. How much to join this club? The asking price is a cool $14,800 and to be honest my first impression was: “did these things cost that much new?” Turns out they did, in fact about ten grand more than that back in the day. What that got you was a car that was a ball on the track, but kind of annoying to use in the day to day. These cars are noisy, they shake like a bag of unfamiliar cats, and those Viper-like seats? They’re far better for short hops than the long haul. Still, who doesn’t like a rebel? What you need to do now is vote on whether this reasonably unmolested and low mileage ACR is worth that $14,800 asking. What do you think, could that price get you into this Club? Or, for that much would your demand something other than a Neon as your ticket? H/T to tdihater34 for the hookup! For $6,000, Could You Beat This 1991 Honda Beat?